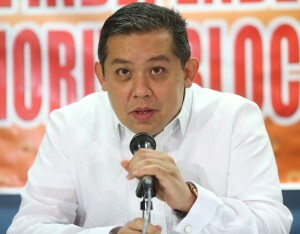 HOUSE independent bloc leader and Leyte Rep. Martin Romualdez renewed his appeal to the public against the huge intakes of cholesterol-laden foods, especially lechon, during the holiday season to ensure a happy celebration of New Year. Romualdez, president of the Philippine Constitution Association (Philconsa), reminded the public about the deadly effects of cholesterol-laden foods as cases of heart attack during the holidays increase. “Let happiness fill our homes during the holiday season. The people should lessen eating fatty foods if they cannot totally prevent it. As we all know, one of the major reasons for heart attacks is because of fatty foods,” said Romualdez, a lawyer. He reminded the public not to spoil their joyous celebration of New Year by avoiding cholesterol-filled food. “Eat moderately, avoid cholesterol-rich meals,” he said, adding that depressing and heartbreaking incidents in hospitals where family and relatives were crying for their loved ones who passed away after the huge intake of foods that are cholesterol-laden should have been prevented. The House opposition leader asked the public to instead take wise selection of foods and drink more glasses of water before taking meals.